The Utica Memorial Auditorium was built by the City of Utica in 1959 on the site of the old Erie Canal, on land donated by the State of New York. Dedicated to the memory of area veterans and the wars in which they served, it was, at the time, one of only three arenas worldwide that had a completely unobstructed views with no support pillars to see around. Madison Square Garden in New York City is actually modeled after the Auditorium. The City operated the Auditorium from 1960 until 1996. The Grateful Dead, Bruce Springsteen, ZZ Top, and Kenny Rogers were just a few of the many performers that wowed crowds here in Central New York, as did perennial favorites Harlem Globetrotters, Ice Capades, and professional boxing and wrestling. Even Hollywood came calling when scenes from the movie SlapShot, starring Paul Newman, were filmed here. Late in 1996, the AUD, as it is known locally, was sold to the Upper Mohawk Valley Memorial Auditorium Authority, which continues the fine tradition of bringing affordable family entertainment to the people of Oneida County and surrounding areas. The AUD has hosted several sold-out concerts in recent years, including Godsmack, Oysterhead, Disturbed, Avenged Sevenfold with Buckcherry, Furthur and Phish. Annual favorites include Monster Trucks, the Ziyara Shriners; Jordan Circuses, Harlem Globetrotters, college and high school hockey, cheerleading and gymnastics competitions. The AUD showcases its diversity and capitalizes on its centralized location. 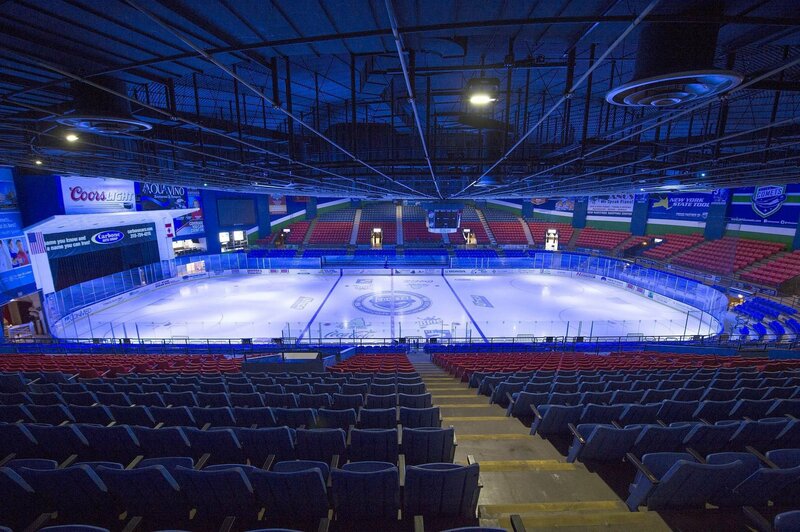 Whether it is concerts, sports or family shows, whether it is national, state, or local programming, the Utica Memorial Auditorium continues to be a premiere entertainment venue, year after year. 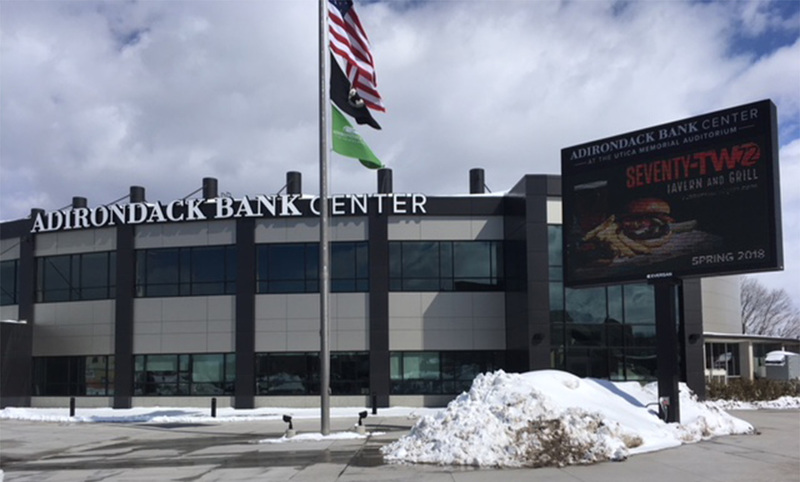 The Adirondack Bank Center at the Utica Memorial Auditorium is a 3,860-seat multi-purpose arena.